Blogging for your business? You should be. Blogging generates leads, increases authority, and builds an engaged audience as well as giving you some great content to share on social media and your email list. But blogging can be a real drag! Finding content ideas or knowing what to share can be a real chore. We blog for many clients so we understand that it’s not always easy. The good news is: there are some really simple to tricks to creating content from very simple ideas. We have a load of great content ideas from all manner of places so we thought we’d share our best blogging ideas with you. Google Alerts are free and, obviously, provided by Google. You’ll need a Google account (free) to set this up but it’s child’s play to do. Once you have an account simply go to Google Alerts and set up some saved searches which will be emailed to you as they happen: as they happen, daily, weekly, or whenever you like. Now, the trick here is to put in search terms that are going to give you content that will give you good blogging ideas. If you’re in the wedding industry, you’ll want to be on topic with celebrity weddings or the latest bridal fashion. Maybe you’re a University that needs to attract new students? Blog about your courses, yes, but also set up alerts for your local area, too to show you have a handle on the important extra-curricular activities! 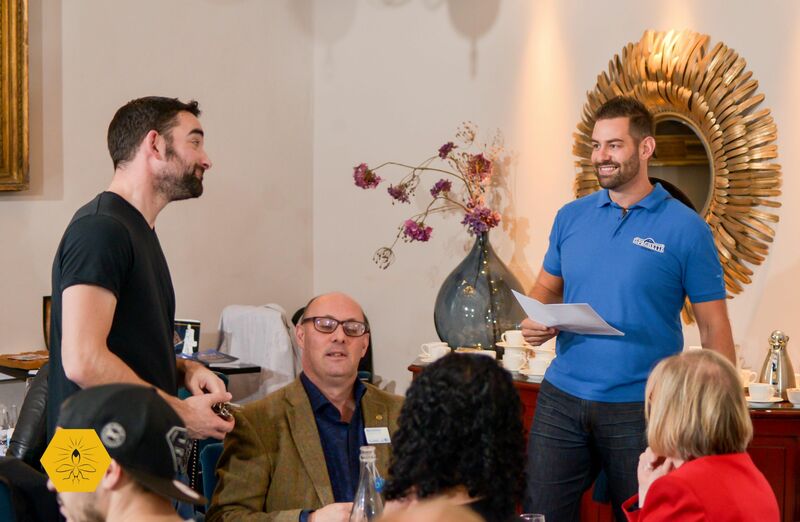 Run a restaurant with a keen interest in local businesses? Set up a Google alert for your local town and be first to have an opinion or article on breaking business news. Google alerts don’t just keep you topical, they also keep you thinking outside the box. Put words and phrases about your business, and more importantly – the service you provide – into Google. For example: I blog for a bathroom company and I simply have ‘bathroom’ as a search term. You’d be amazed at the ideas I have from articles on Google that have just been published with that term in. I’ll get inspired to blog about a topical subject or just a different view on something I’ve blogged about before. I really like this tool. Have you ever noticed how clever it is? As a fun game you should go and put “Why does my…” into the search box and see what comes back. The results are based on ‘actual’ search results put into Google. These terms are suggested terms based on the search term you put into Google. These terms are constantly changing and the important part of this is – this is what users are ACTUALLY putting into Google. This is what they’re ACTUALLY looking for. You can be the answer! So let’s take our wedding example above again. These are all perfect ideas for what you need to blog about. Simple, huh? Yes you’ve got to write it, but you’ll have so many ideas to go on you’ll be falling over yourself with ideas instead of wondering what to write. You know your industry, so you’ll know what you want to say about the topic. This is another real gift for ideas. I bet you’re constantly emailing customers with problems. Take my accountant for example: They’re awesome and they have the answer to everything. They’re also Xero experts and can pretty much fix anything there too. My emails may seem trivial to them, but they’re important to me and they get me out of an accounting hole. They need more customers, and blogs help attract those. So guess what they need to write about? A good blog will fix a problem so by creating content from FAQs and common questions in emails you’ll soon have a great resource, to not only email back instead of typing them out all the time, but also a great blog full of useful tips to wow your future customers. I go networking twice a week and I have all sorts of conversations. The network I go to has three x 10 minute 121 appointments. I get asked a lot of marketing stuff in those 121s and many of them crop up repeatedly. The trick here is to spot the common questions; the trends, the patterns, and create content from these. If people who are interested in you are all asking the same type of questions, I guarantee they’ll work well as a blog. Create a note in your phone or carry a blogging notepad for ideas – whatever works for you – and record all these pearls of wisdom before you forget them! As a blogger, I’m constantly reading other blogs. 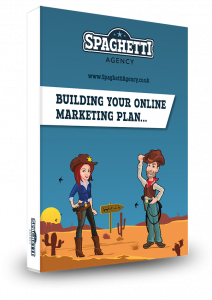 Blogs about marketing but blogs about other subjects too. It’s really good for your creative mind and it also gives you really good ideas for your blogs. “No ideas are new ideas” as they say, and taking inspiration from other blogs is often subliminal. Don’t plagiarise other content, but take your view, your thoughts, and see how you can apply it to your blog. For example: recently I was blogging for a client on one subject based on a format I’d seen on a blog about a completely different topic for another client. The one blog inspired me to write about something in that style but on a totally different subject. Keep your eyes open for inspiration. 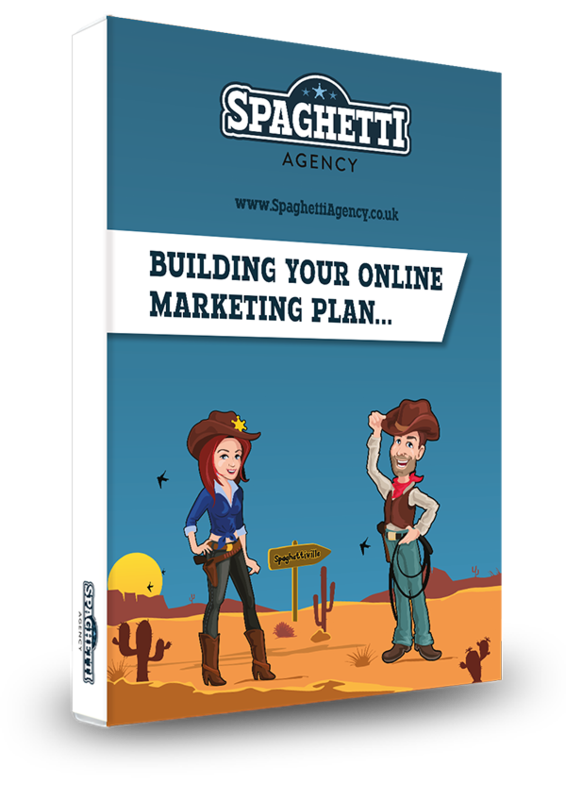 If you’re working on your SEO (Search Engine Optimisation) then you’ll have a bank of keywords that you’re trying to rank for. Ranking for keywords simply means that you’re trying to appear higher up the Google results when a potential customer types those words or phrases into Google. If you have some keywords and phrases then take these and work with them to come up with content ideas. This will help your SEO efforts. But don’t solely blog for SEO and ranking. Blogging should also be about gaining authority in your subject and also helping your future customers will simple tips and advice. If you’re an exhibitor or you go to exhibitions this can be a great place for conversations too. Most exhibitions have two things – exhibitors and speakers. From the exhibitors (even if you are one) you’ll have some really great conversations and content from asking questions, discussing your business, and finding out new and exciting options and business plans. 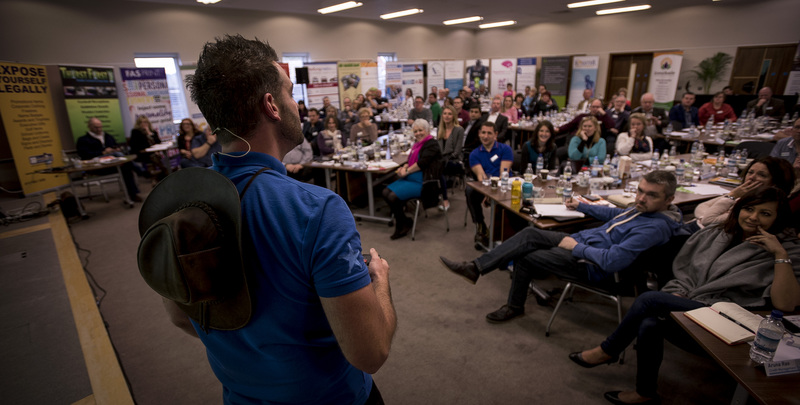 From the speakers you’ll have some great foresight, inspiration and business knowledge. You’ll be able to create content from tweets from the show, one-liners from the speakers, and reactions and questions from the audience. When you go to a show, take notes and tweet the info you hear – It’s a perfect way to curate future content by extrapolating the information and creating content from it. I hope you see now that content for your blogs is everywhere. It’s in conversations, questions, content you read and hear, and it’s all over Google! Be savvy, start listening, and create some great content to attract your ideal audience to your website and business. Blogging is great for your business and brand and builds you authority, traffic and leads. I often hear from business owners that coming up with content ideas is hard. I’ll think you’ll see now that it’s a lot easier than you think. Need more tips? 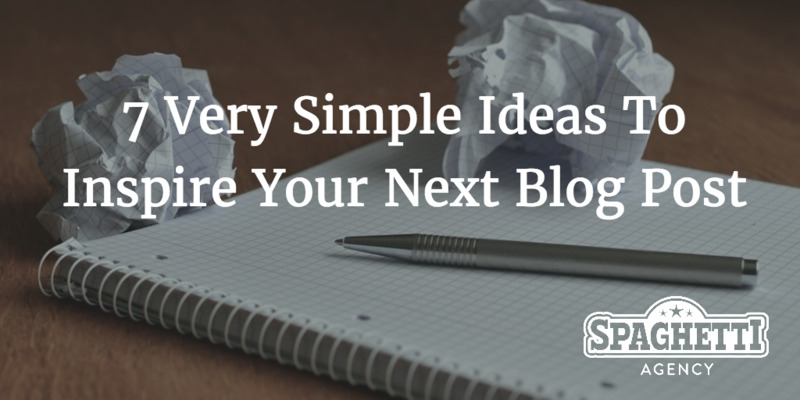 Find 12 and a half stupidly simple blogging tips here! Easier now? I’ve only shared some of my ideas here. Add your favourite content ideas and inspirations in the comments. Very interesting post Todd and thanks for sharing it. A pleasure. Keep on creating that content…! Todd, you made a few valuable points about using ideas from other blogs. Many bloggers do this, but there is a very thin line between “inspiration” and “plagiarism”. Luckily, every blogger could use tools like https://unplag.com/free-plagiarism-checker without any charge to be sure their content doesn’t include any word-to-word similarities from other blogs. Besides, using a tool called Buzzsumo will help to find articles that made the biggest social buzz on the web. As for me, it’s essential for all bloggers know which topics are popular and generate their own ideas for future posts, based on this.